The Allure of Dartmouth: Escape to Dartmouth with Monty Halls! 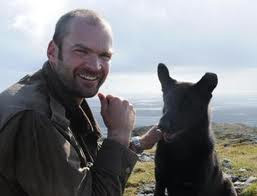 We are delighted to welcome Monty Halls to Dartmouth with his new business in Market Street - 'Monty Halls' Great Escapes'. As well as browsing through his many books on sale, you can also pop in for a coffee and find out about all the exciting courses, trips and nature walks he has on offer. Monty's Great Escapes shop is less than five minutes' walk from the Crow's Nest, opposite the Old Market.